Simon Kassinedes. My spelling of his last name is wrong I know. Believe he is Greek and living in LA. 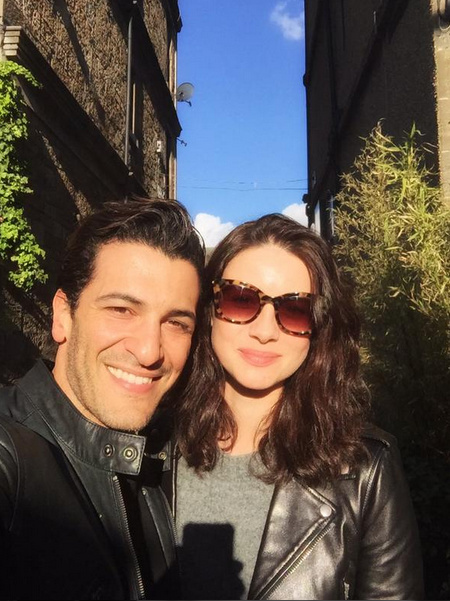 The actor friend who fostered Cait’s kitty, Eddie, whilst she was in New York and then Cait shipped Eddie back to Scotland when she returned. Other posters please feel free to correct me where I am wrong. Funny but I feel the same way when I see Sam with Cody or Amy. OMG! Please no! Simon’s Cait’s former housemate in LA. He was on tv on that Marvel’s Agents of Shield or something like that; I didn’t watch it. But heard his part got cut recently. Think he had app’d for some part in OL but don’t think he got it.